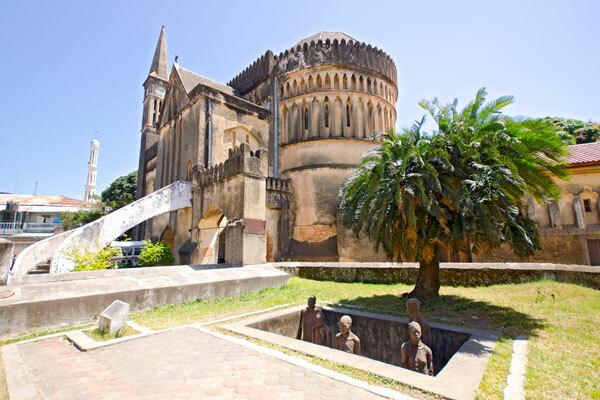 Stone Town is the capital of Zanzibar and the beating heart of the island. Experience a unique blend of Arabic, Indian, African and European cultures as you weave your way through narrow streets and pass under iconic doorways on this walking tour of the islands biggest town. Stone coral buildings built in the 19th century give the town its name, and now home to over 16,000 people - it remains the bustling hub of Zanzibar. Designated a world heritage site by the United Nations, a walking tour of Stone Town is an absolute must on your itinerary. 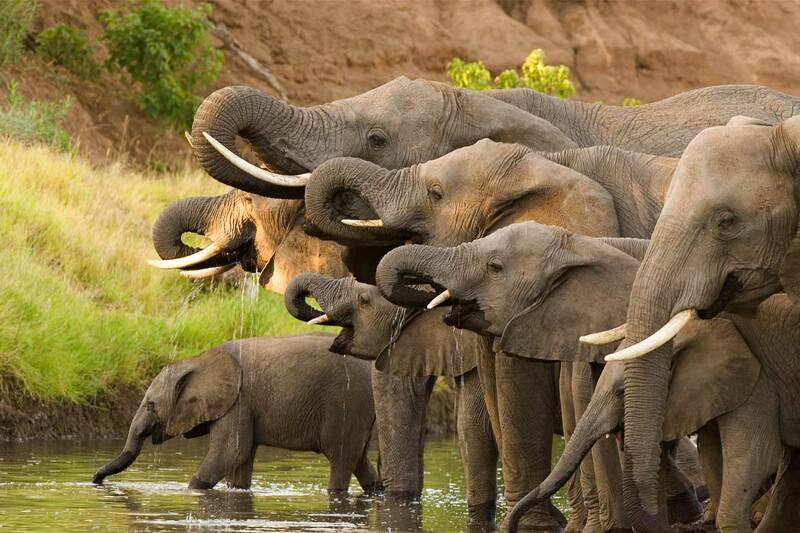 Escape the hustle and bustle of Stone Town with a trip to the Jozani Forest. A winding nature trail will take you through the forest, revealing an abundance of unusual wildlife including sun squirrels, rare butterflies, bush babies, mongoose, bush pigs, geckos and much more. 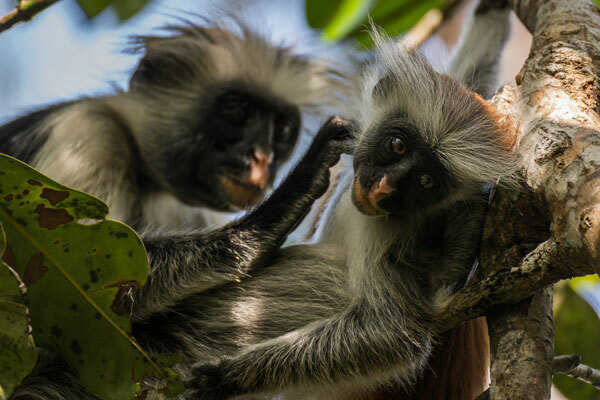 Gaze up above and spot clusters of red colobus monkeys, a species indigenous Zanzibar, happily hanging from the trees. An afternoon spend wandering through the Jozani forest is one you won’t forget in a hurry. 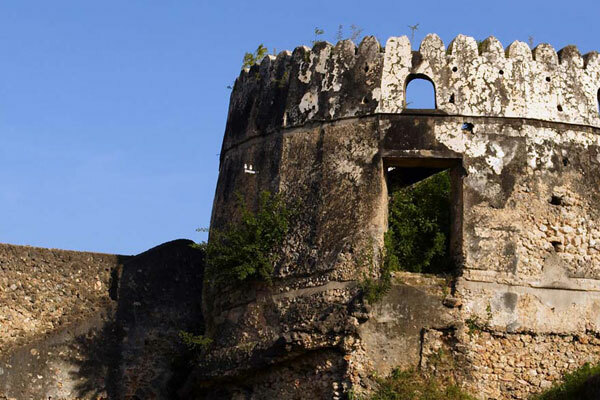 Zanzibar was once a hub for spice trading. Today the islands’ tropical climate continues to provide fertile soils perfect for growing spices including vanilla, cinnamon, saffron, masala, hot chillies and black pepper. 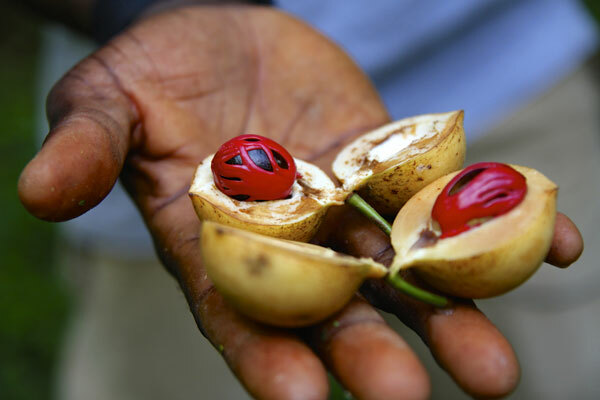 You’ll not only become an expert in the island’s long trading history, but a Spice Tour is also a great opportunity for you to explore Zanzibar’s more rural spots. Pass through vibrant farming communities and purchase unusual spices to take a little slice of Zanzibar back home with you. Changuu Island, also known as Prison Island, is just a short boat ride from the main port of Zanzibar and makes for an interesting morning or afternoon trip. 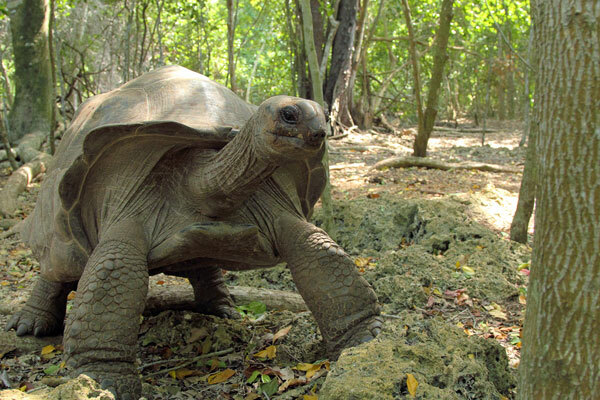 Now home to ancient giant tortoises and an impressive colony of peacocks, it’s hard to imagine the island was once where slaves were exiled by wealthy slave owners. 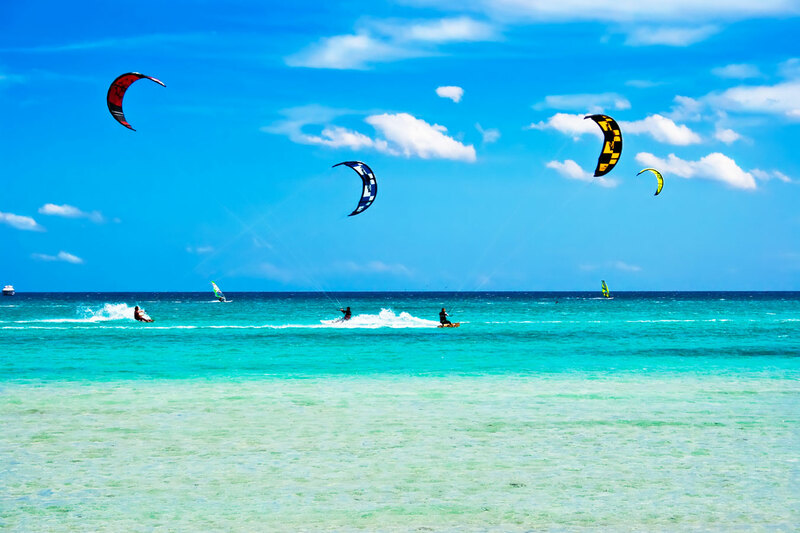 White sandy beaches are fringed with a stunning coral reef, making Changuu Island perfect for an afternoon of snorkelling or relaxing in the heat of the sun ahead of returning to the main island. - Kidchi Persian Baths | Fukuchani Ruins | Tumbatu Ruins Dunga Palace of the Mywinyi Mkuu.